Blessings, Miracles, &Thoughts in Between: Day +27: Exiting News! Kate wanted to let y'all know that after 38 days in the hospital, she will be coming home TOMORROW!!! We are very excited to finally be back together as a family! Praise the lord, this is amazing news! I have been praying for Kate for a long time now and this makes my heart happy! OMG! Congrats! We've been praying for Baby Kate Daily! Will continue the prayers! Sweet Baby Kate Congrats! That is so exciting! She looks so beautiful (and grown up) in that picture. Lots of hugs to you guys. 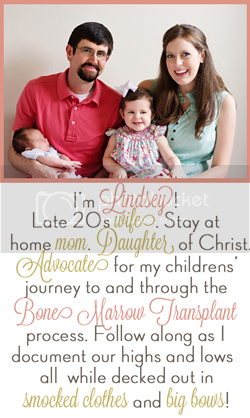 That is wonderful news Lindsey! I'm so happy for your family :)God is great! This is great news! Yay! YAY!!!! What a happy, happy day!!! You've made it! Awesome News! This is great to hear, I will continue to pray for you all as Kate continues to grow strong. She looks so grown up in the picture. Oh I am SO SO happy to hear this! What wonderful news!!! I'm sure you are all ready for this step! Hooray! You did it baby Kate!! Kate's a rock star! This is such great news! YAY!!! Congrats Congrats Congrats...thats the best news:) That pic of her is precious!!! Best news I have heard in a LONG while!! Whoooooo Hoooo!!! Congrats! That is so exciting! The Lord is truly faithful! This is absolutely the sweetest news!! So, so, so excited for y'all!!!! Ahhhhhh!! YAY Kate! I know you are thrilled to all be home!!!! I also had a question to ask if you don't mind. You mentioned in another post that Kate had delayed gastric emptying. My son has that as well, we have had TONS of GI issues his WHOLE LIFE and he is five. I was wondering what medicing Kate was on that helped her delayed gastric emptying? That is wonderful news, Lindsey!!!! I am so happy for you and your little family. That is really good news! I'm so happy for you. Congrats! I AM so glad everything went through smoothly!!! Kate will continue to be in my prayers!!! !